Nothing says summer vacation like an easy white sundress. This summer I’m all about white clothes, white shoes, and white earrings. I love wearing a neutral that still pops and stands out form the crowd, while still being classic. Dress them up or down, white sundresses are perfect for days on the beach or dinner out with friends. I found this light and airy Free People dress just after Christmas, so I’m super excited to finally have a chance to start wearing it. Free People always runs a bit big on me, so I tend to pick one size down from normal in most of their pieces. I paired it here with these earrings from Baublebar. On Saturday I’m heading to Vero Beach with Maxwell to spend the weekend with my bestie from law school, and this is definitely going in the suitcase. 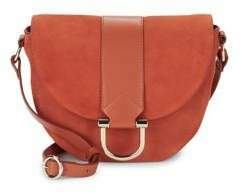 I’ll also be bringing my summer splurge Sézane saddle bag, and linked some other similar bags and more affordable lookalikes below. So remember in my last style post I professed my love for cutoff shorts? I’m equally smitten with denim jackets. They go with everything, and I always need to have a top layer in Florida all the time to compete with the crazy cold AC when its super hot outside, so you’ll usually find me with one in hand. I’ve linked several of my favorite denim jackets and white dresses below. Shop the entire look and other favorite summer white dresses HERE. Previous article IVF 101 – Part I: What the Heck is IVF?